Here is something I know for a fact: my father in law is tougher than yours. I remember feeling distinctly afraid when I first met him… Rightfully so, legends prevail of man so fearless that he once chased a bear up a tree. Over the years I’ve discovered a gentle soul more interested in observing animals than occasionally hunting them, with nary a violent bone in his body. Greg has a litany of stories combined with a knack for telling them that makes each visit interesting and filled with laughs. When I first began dating his daughter, rumor he was shocked to learn that I neither camped nor hunted, but he was kind enough to consent when I called to ask for her hand. Since that time, I’ve spent a few enjoyable nights in a tent trying to become little more ‘ruff and tuff. 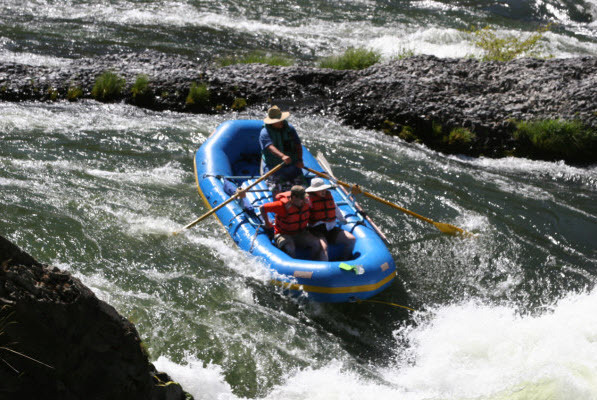 On that note Jamie talked me into making a 3 day/3 night rafting trip down Hells Canyon with Dad and his buddies. 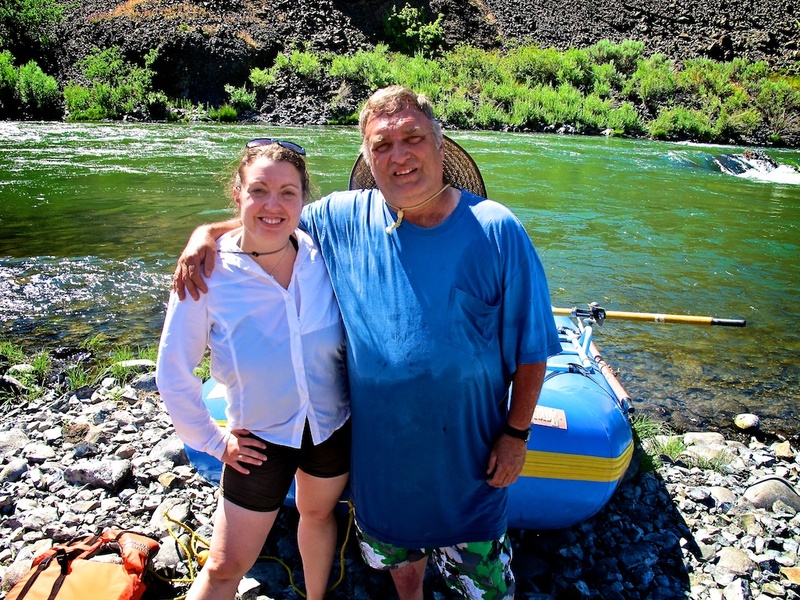 I’ve gone rafting a couple of times before and wanted to experience the family tradition. High waters and a healthy dose of caution were cause enough to scuttle our river adventure. But we had a fine backup plan: The Whiskey Creek Ranch Triathlon. Okay, so the first event was in Oregon, nowhere near Whiskey Creek, but it was quite the day. After arriving Friday night and grabbing a late supper with family, we woke early and were on the road at 7AM cruising along the Columbia River. Most of my road tripping experience has found me at the wheel of an economy car and it was positively palatial to have the entire back row of a Ford F-150 Crew cab to myself, where I could lay down and sneak a few winks. I felt like royalty traveling in my own personal litter. About four hours later, we arrived in the town of Maupin, Oregon and arranged for someone to shuttle the truck down the river. We quickly inflated and floated the raft and were on our way. The river is picturesque and while the air grew hotter by the minute, the icy cold water made for a comfortable afternoon. 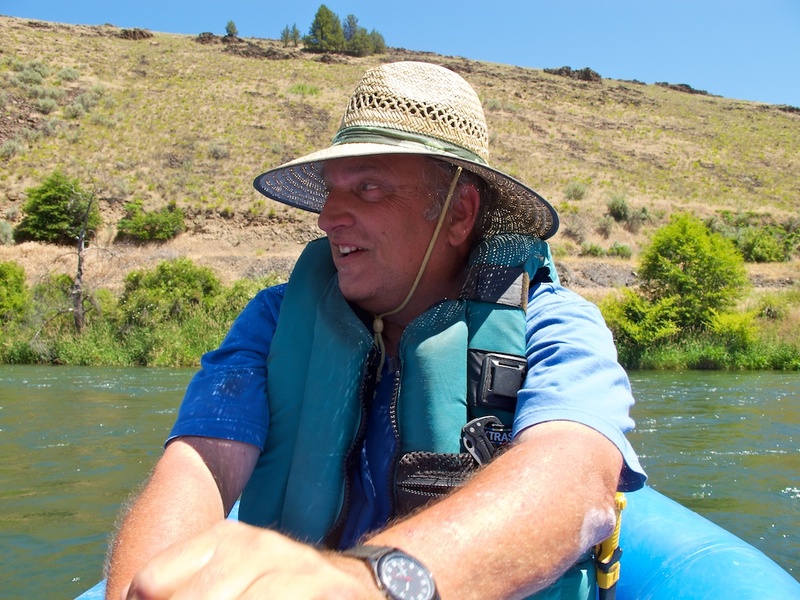 Once on the water, I was instantly at home given my boating experience. In his younger years, my father and most likely his father would’ve eaten up this type of thing. Katoff’s like the water, it’s in our blood to feel comfortable afloat. 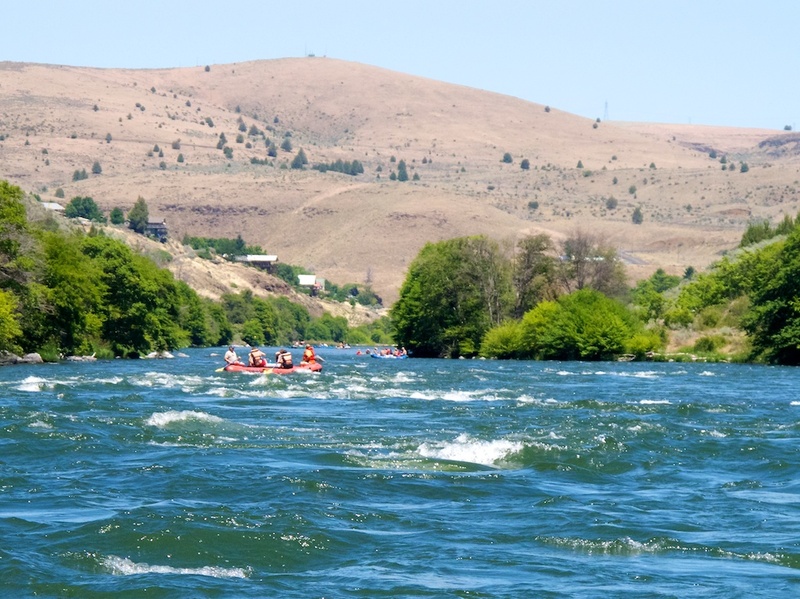 We found ourselves in some nice class three rapids that afternoon hitting famous stretches like Wapinitia, Boxcar and Oak Springs. 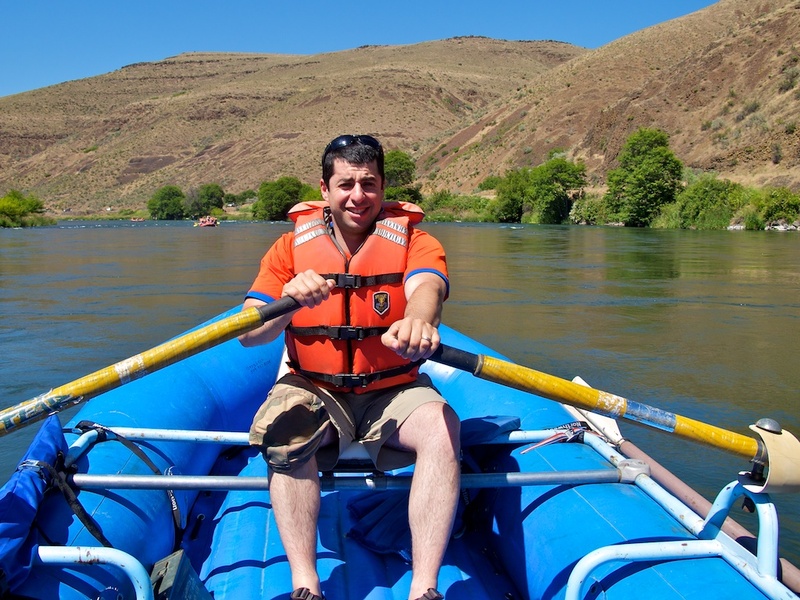 Greg even let me row for a bit, and I discovered just how different this was from my experience with smaller rowboats. 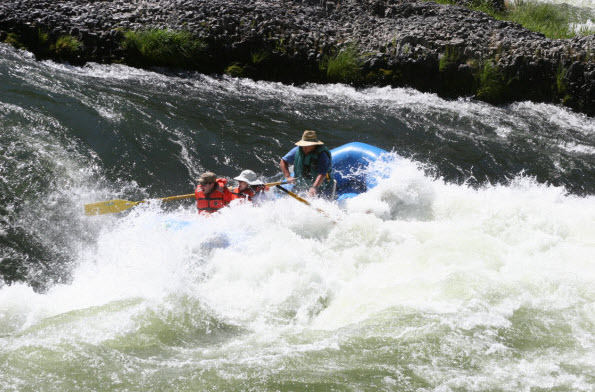 While those big oars offer great leverage, the boat is unwieldy, rocks are hard to see and fighting that current tired my shoulders out in no time. Father-in-law had no problem though: tough I tell you. At each and every rapid, Jamie screamed like 9 year old girl every time water came crashing over the bow. I think I’m still deaf in my right ear. 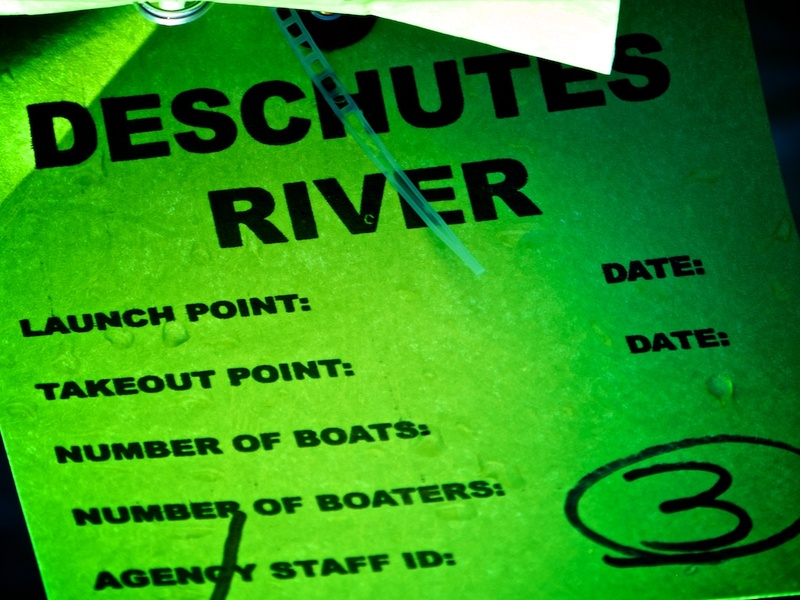 At our last big section, Boxcar, we wound up right in the hole with our boat engulfed in white water. Check out the two pictures I ‘borrowed’ below. Pretty cool, huh? It certainly was a great day. There is also section called Swimming Rapids. I wasn’t in the mood to face the chill of the water, but figured it would make for good copy, so off I went. 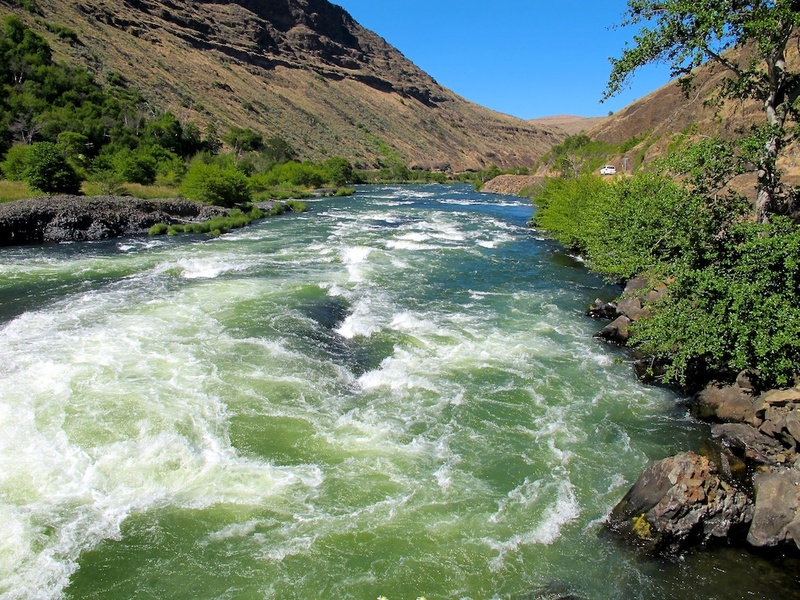 There is a stretch of shoreline where you have to jump out into the river (so as not to hit the rocks) and then float through through the rapids. I felt like I was going to drown, like I was going to freeze. Check out the video and hear me screaming like a 9 year old girl. Before I knew it, we were at the takeout point deflating the raft. We stopped in the town of Maupin for ice cream and sorbet before starting the long journey home. That night we setup a little campfire in their yard and roasted marshmallows under the stars. Jamie loves s ‘mores. I slept quite well after all that sun and fresh air, dreaming of the adventures that Sunday held in store. It looks & sounds like quite an adventure! Personally, I enjoy a nice relaxing vacation on a Caribean beach ! Thanks for sharing. Mike, you would’ve loved it. But Mom, not so much.